If you are looking for a little seclusion and a little more time with nature, then a mountain getaway just might be what you need! Vacationing in the mountains offers peace and quiet, adventure, fishing, hiking, canoeing, and so much more! But that doesn't mean it doesn't offer all the other amenities you are accustomed to on vacation. Many of the mountain vacation destinations offer outdoor community pools, private hot tubs, and are a close distance to shopping and restaurants. 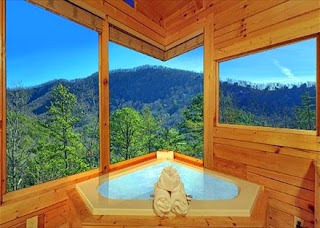 Here are some of the top log cabin mountain vacation destinations! Plan your vacation to the mountains today. 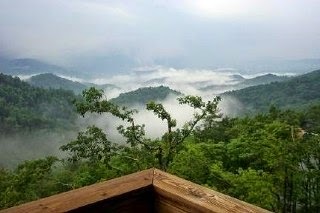 Located at the foothills of the Smoky Mountains, Sevierville is one of the top mountain getaway destinations. 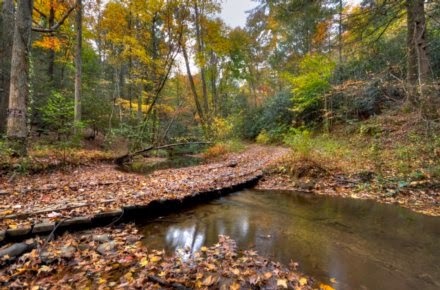 Just 10 miles from Smoky Mountain National Park, Sevierville offers a very versatile array of activities. From great dining and shopping (over 120 high end outlet stores), to "roughing it" out in the wilderness. The beautiful 360 degree views are something you will never forget! You would never guess you were just 90 miles north of Atlanta! Blue Ridge is located in the Chattahoochee National Forest spanning 106 acres for you enjoyment! Take a horseback riding tour, hike to the many different waterfalls, try the tree top canopy tour, or ride an old fashioned train and take in the beautiful scenery! With so many options for activities, Boone makes it a great destination for everyone in your group. Take a day and snow ski in the winter, or take a long hike up the mountains, fly fish, kayak, and if you are brave enough, walk across the Grandfather Mountain swinging bridge! Pamper yourself at one of the beautiful spas, and browse some of the many art galleries. Boone is worth the trip! These are just a few of our mountain getaway destinations! Not sure where you want to go? Check out over 70,000 vacation rental properties around the world for more ideas! If you aren't sure where to travel, contact our Travel Specialist! We love to help our customers find the perfect place for their vacation! In the mood for a little adventure, something off the beaten path, exotic even? Don't worry, we have you covered! From private islands, to camping in the mountains, to clothing-optional beaches, we have some of the most exotic vacations options right here at Perfect Places! What is more private, than your own private island? We kid you not. You can rent your own private island in Belize! Feel like you own a little piece of the ocean while you are on vacation at this 3 bedroom vacation home situated on a coral reef! The water is perfectly shallow for snorkeling and wading, or take the paddle boat out and cruise around. Such a unique experience; this will be a vacation destination you will never forget! Vacation rental in Belize: Rent your own private island! If living on the wild side interests you, we have the perfect place for your vacation! Imagine going on a camping safari, with your own tour guides included! 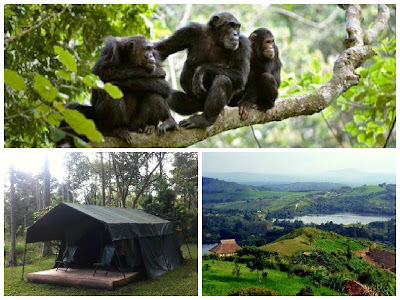 See all the spectacular scenery and get up close with the wildlife. If you love to climb mountains, they can even take you on a hike to the "Top of the World" at 5 Craters Lake. Truly a place for adventure, nature, and seclusion! This incredible vacation villa in Cupecoy, Saint Maarten is located on the famous Gold Coast, with expansive ocean views, private pool and hot tub, and direct access to the Cupecoy Beach! This area of the beach is also clothing-optional, making it a good option for those who prefer to leave the swimsuits at home. Take a swim, and feel so close to nature, in the clear Caribbean waters! Another bonus: this villa is located within walking distance of the marina, shopping, great restaurants, and night life! These are just a few of our fantastic selection of exotic, secluded, and unique vacation properties! We have more than 70,000 vacation rental properties worldwide, so check out our listings for even more vacation ideas! If you aren't sure where to travel, contact our Travel Specialist! We love to help our customers find the perfect place for their vacation!